Polaroid is shutting 2 facilities and will cease to produce any more cameras and films for what they are famous for. Instant large-format film cameras. So grab your Polaroids online now before they become history. Hi, liked your post! this instant cameras was a really big step on the photography world.. now it’s everething digital but i’ll never forget our old polaroids! I agree. 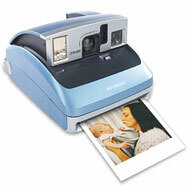 Remember the days where you had to shake your Polaroid shots and the excitement of watching it appear on the film? Awesome days!